The Avengers has been the "biggest" thing in the cinema lately. It made a billion dollars in no time and it continued to be a box office success after that. It broke several box office records. It is in the top 50 movies in IMDb's Top 250 chart (based on user ratings). 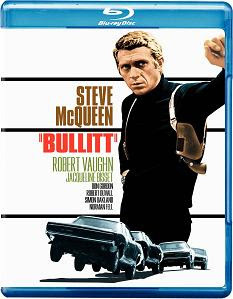 It dwarfed every other (3D) film released in the weeks after its initial appearance. And it is still very popular. All these suggest The Avengers should be a great motion picture. But is it actually so good in reality? If you've seen some of the previous Marvel's creations (like Thor or Captain America: The First Avenger) you've probably already had an idea about the story you could expect from The Avengers. The expelled from Asgard Loki threatens the existence of the Earth and the only force that could stop him and his army is a team assembled from super humans and called "The Avengers". The team includes Iron Man, Captain America, The Incredible Hulk, Thor, Black Widow and Hawkeye: a dream for every comic fan. The existence of several comics born superheroes is the main advantage of this film. It attracts the fanbase of each of the characters thus greatly increasing the potential audience compared with the single character movies. As we've mentioned before here, Americans are devoted lovers of comic book films but in this particular case the rest of the world help significantly for the enormous box office figures of The Avengers as well by adding a revenue of $800 millions (and probably more later). The question that arises in this regard is if Marvel had joined a few more heroes to the team whether they could top Avatar or at least Titanic in terms of profit. Most of the principal actors in the movie perform their usual roles in their usual way (especially Robert Downey Jr.) and the most non-repetitive performance comes from Mark Ruffalo who is the new Hulk. Jeremy Renner plays a new character, Hawkeye, which together with Scarlett Johansson's Black Widow is among the not so supernatural part of the crew. Johansson is the almost mandatory feminine addition to the group although I think Cobie Smulders (in the role of Agent Maria Hill) is more attractive in this particular movie. The story of The Avengers is rather weak. There's nothing interesting in the plot, which is only a device to employ our well-known superheroes. Some of the former films about Iron Man or Hulk were in fact more fascinating. Loki is not a very convincing villain and does not help to improve the movie. And there are enough inexplicable filmmaking decisions as for example, the Hulk's inconsistent ability to be in control of himself. The use of 3D is also absolutely unnecessary. 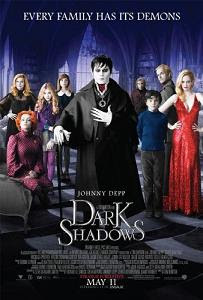 The movie is post-converted to 3D and does not really benefit from the 3D technology. The only advantage is for the film's producers in the form of higher ticket prices. Speaking of 3D films even the recent Men in Black III and Prometheus that have been far less successful in cinemas actually offer more curious stories and overall appeal despite also not benefiting from 3D and having their own flaws. This is not to say The Avengers is awful because it is a decent movie. But it's far from the quality one could expect having in mind all the hype surrounding it along with the record-breaking news and huge box office success. And I'm not talking here about the virtues of some universally praised classic films. 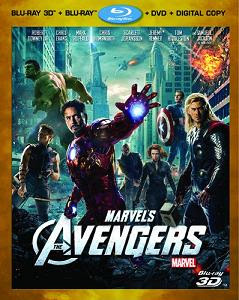 The Avengers is far even from the quality of not so well established contemporary movies like Avatar and Titanic. Yojimbo (Yôjinbô) is probably one of the most influential films by Japanese director Akira Kurosawa. It's a well-made film with solid acting, direction and cinematography. Over the years, Yojimbo has influenced many movies and filmmakers. Some of those have been an almost exact remakes of Kurosawa's film, e.g., Sergio Leone's A Fistful of Dollars (Per un pugno di dollari) with Clint Eastwood and Walter Hill's Last Man Standing starring Bruce Willis. Others, like the more recent Lucky Number Slevin are not so close to the original but share some of its plot's elements. Apart from feature films, Yojimbo has influenced also other forms of entertainment like television series or variety shows but its greatest effect has been on filmmaking. 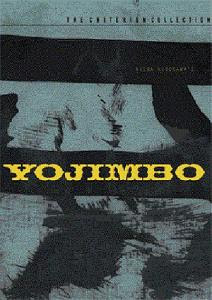 Yojimbo itself has been inspired by the western genre and especially John Ford's films. Some claim it is more or less based on Dashiell Hammett's novels Red Harvest and The Glass Key. This is to point that despite Yojimbo's story has not been entirely original, it has been told and filmed in a way that has made the movie hugely important for the future film creators. The story of Yojimbo (meaning "bodyguard"), similar to Akira Kurosawa's own film Seven Samurai from 1954, is about a samurai and a town needing a kind of protection. A samurai with no name (Toshiro Mifune) who has no master comes to a town with two competing criminal gangs. He decides to stay and work for the gangs constantly changing sides in order to make more money and help the peaceful population by reducing the size of the gangs. Kurosawa uses Toshiro Mifune's competent acting to establish a likeable character regardless of his restrained talking and hasty use of sword. The plot development also favors the samurai's attractiveness. Many of the other actors have previously worked with Kurosawa too thus the director knows them and directs them very well. In addition to the plot's resemblance to western movies, the cinematography also relies on many of the western genre common shots like the hero standing alone in a wide frame or showing dust clouds between the adversaries. Most of the town (which actually looks like a small village) is never seen and this reinforces the impression that the only important entities in this place are the two hostile crime gangs. There is a man who announces the time as though to remind the time still hasn't stopped in the town. But then he also obeys the gangs. Yojimbo is a black and white film which may not be to the taste of everyone. On the other hand, The Artist has proved recently there are many who are not put off just by the lack of color in a film. If it wasn't shot in black and white though Yojimbo would be a different movie. Masaru Sato's soundtrack is a great complement to the narrative and its distinctive melodies and sounds help for the creation of Yojimbo's specific atmosphere, as does the usual raining in Kurosawa's films. Being one of Kurosawa's best efforts Yojimbo is a must for movie buffs. Despite not being loaded with plenty of action it sets the course for many future action films. And even if you are already familiar with the story, don't worry about your high-grade entertainment cause it's a pleasure to observe the details of Kurosawa's masterful filmmaking.